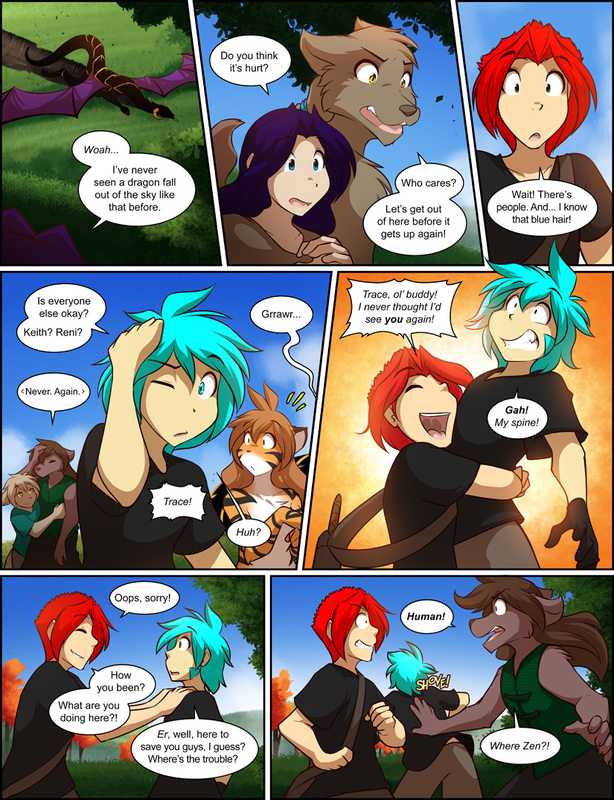 1005: Reunion - Twokinds - 15 Years on the Net! Maren: Woah… I’ve never seen a dragon fall out of the sky like that before. Maren: Do you think it’s hurt? Sythe: Who cares? Let’s get out of here before it gets up again! Red: Wait! There’s people. And… I know that blue hair! Trace: Is everyone else okay? Keith? Reni? 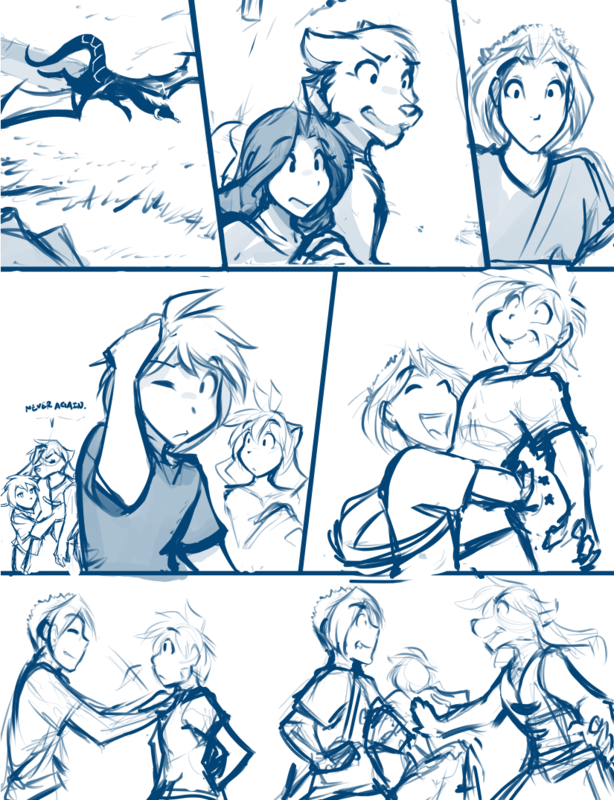 Natani: (in Keidran) Never. Again. Red: Trace, ol’ buddy! I never thought I’d see you again! Red: How you been? What are you doing here?! Trace: Er, well, here to save you guys, I guess? Where’s the trouble?